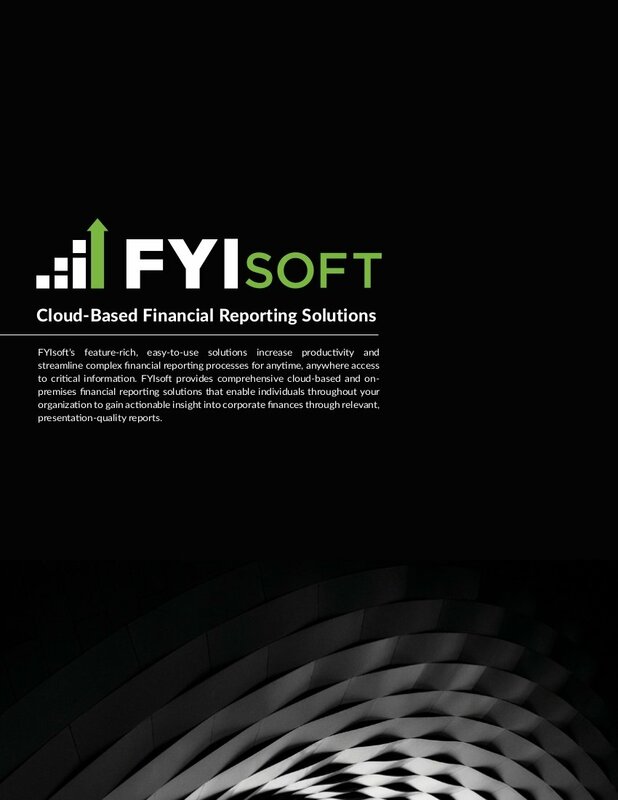 We are proud to partner with FYIsoft to bring our customers a powerful financial reporting solution. 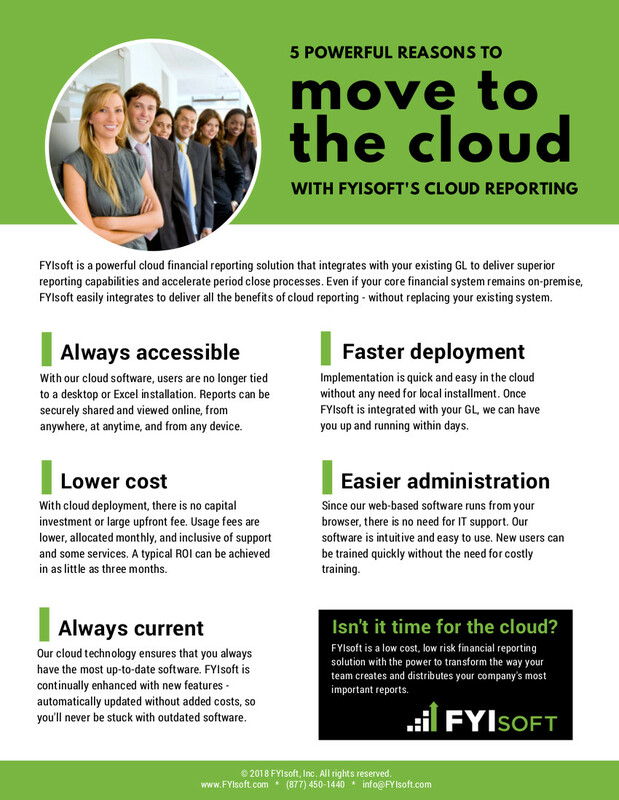 FYIsoft’s cloud financial reporting software is ideal for companies with complex consolidation and reporting requirements. 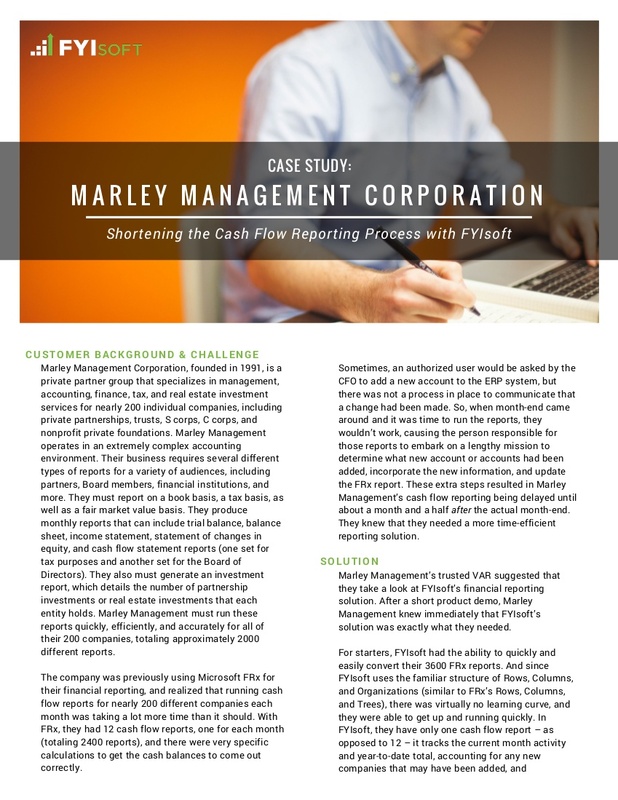 FYIsoft greatly enhances the ability to produce fast, accurate, board-ready financial reports and is proven to cut 10+ days off the period close process. FYIsoft is fully integrated with Sage, NetSuite, Acumatica and many other ERPs, so implementation is easy and our customers can begin taking advantage of this powerful solution within hours. 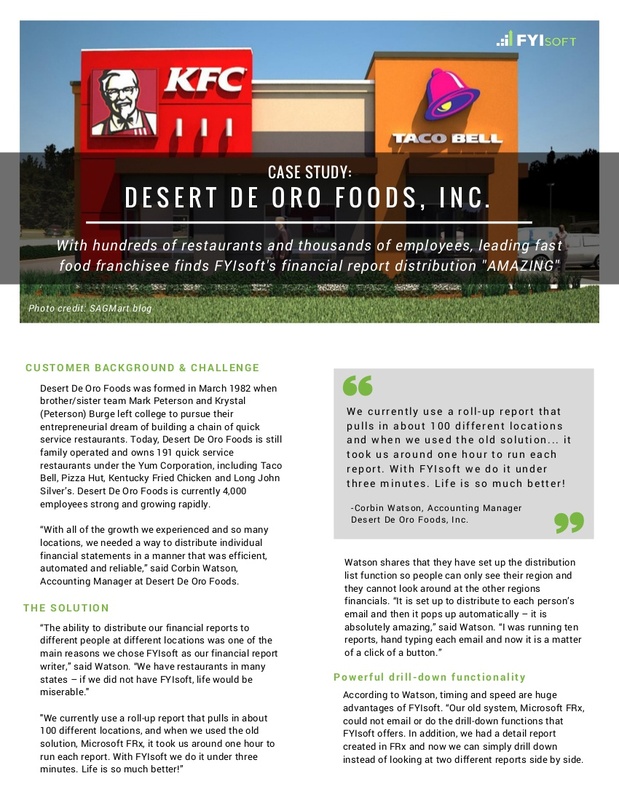 With all of the growth we experienced and so many locations, we needed a way to distribute individual financial statements in a manner that was efficient, automated and reliable... [FYIsoft] is absolutely amazing. The ability to drill down to account details and see invoice information is important to us. 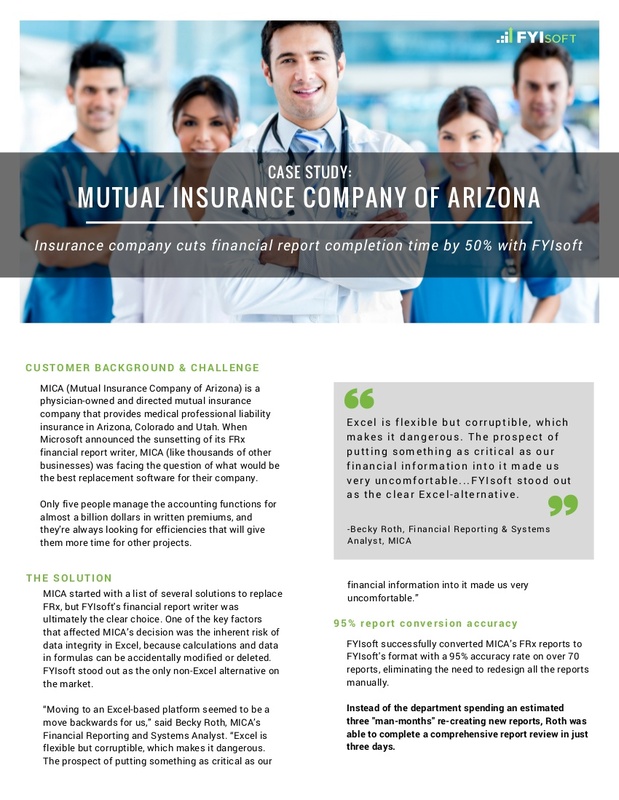 And the distribution options make it easy to send each cost center reports containing their own financial information, not everyone else’s too. 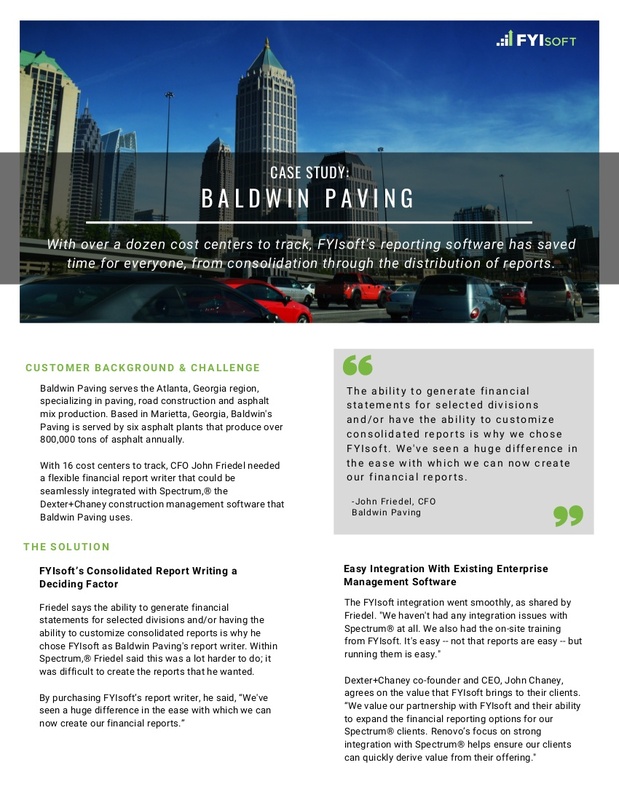 We chose FYIsoft for its ability to provide on-demand financial reporting from any device, including our phones, as well as the solution’s automated email distribution capability. 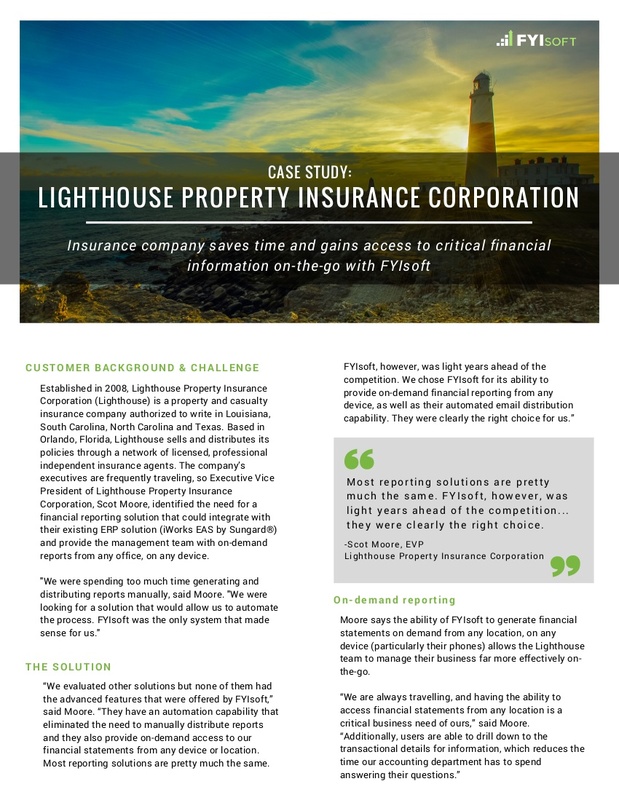 The value of [FYIsoft] significantly streamlines the period-end closing process, saving hours of valuable time as well as offering flexible reporting for our specific requirements.